I have been very busy the last couple of months with the relaunch of my website. 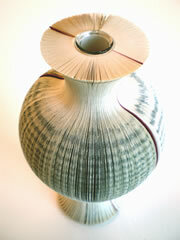 I have also been busy making a new range Book Vases for my online shop. I am currently looking to exhibit my work at exhibitions and galleries across europe. I will keep you updated on any future events.